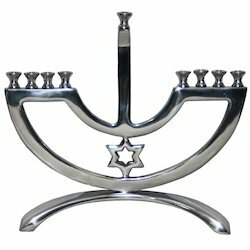 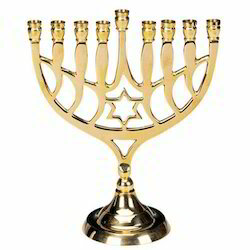 We are listed at the apex for manufacturing, supplying and exporting Metal Menorah Candle Holder. 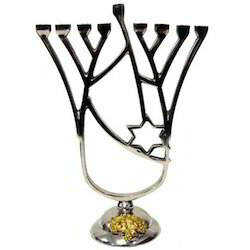 The ample range of menorah I offered by us is comprised of Designed Polished Aluminium Menorah, Polished Aluminium Menorah, and Designed Electroplated Menorah. 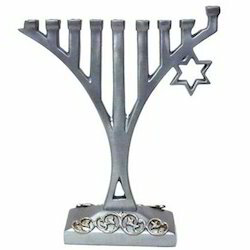 The range of menorahs offered by us is widely applauded among our clients for its fine finishing and attractive designs. 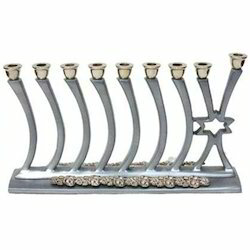 Owing to the vast experience in this field, we have been able to offer our customers with Aluminum Menorah Candle Holder. 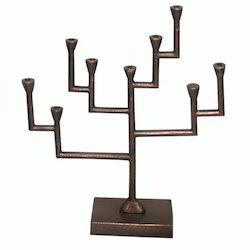 The offered product is widely used by our customers for various decorative purposes. 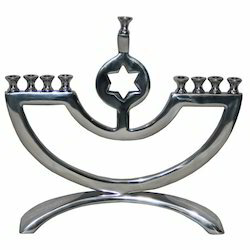 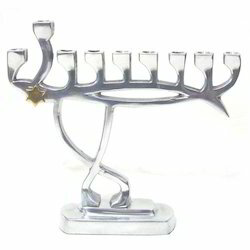 These menorahs are manufactured from high quality aluminum, which is sourced from trusted vendors. 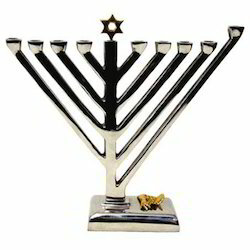 The offered menorahs are rigorously tested by our quality controllers, to ensure delivery of defect free menorahs at customers’ end. 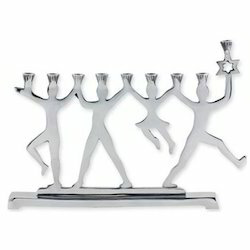 Apart from this, this menorah is available at cost effective market prices. 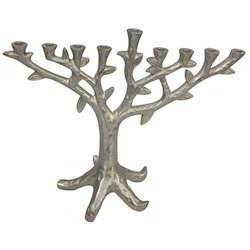 We hold expertise in offering Menorah Candle Holder to our customers. 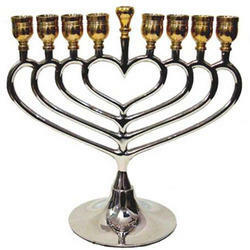 The offered product is used for worshiping and decorating interior by our valuable customers. 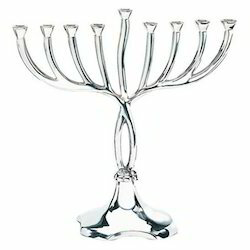 These products are manufactured using latest technology and tools, to ensure high standards of quality. 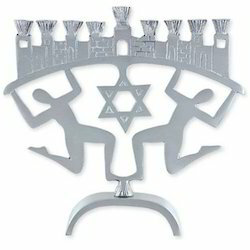 The product, offered by us is available in various shapes and sizes, which suit the requirement of our valuable customers. 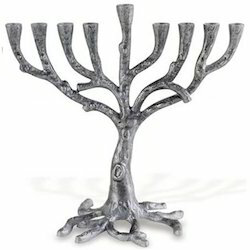 Owing to our rich industry experience, we are involved in the manufacture and export of Menorah Candle Holder. 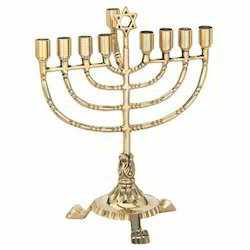 These products offered by us are manufactured from high grade raw materials to offer high durability and long service life. 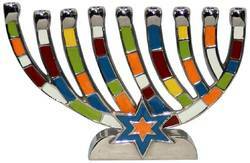 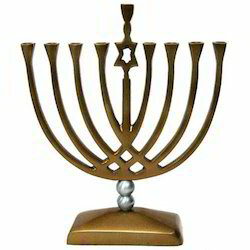 We are instrumental in importing, supplying and exporting offering a range of Stylish Menorah. 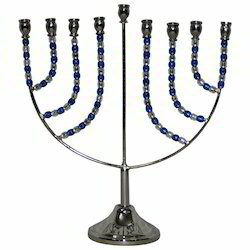 These are sturdy, robust, anti-corrosive, abrasion resistant and durable with perfect finish. 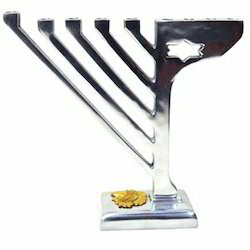 Aesthetically designed with perfection, our offered letter plates are manufactured using high-grade raw material. 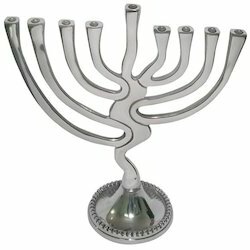 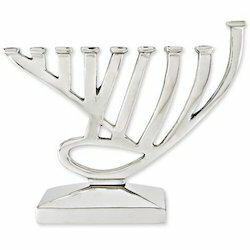 We are one of the leading manufacturers and exporters of Polished Menorah. 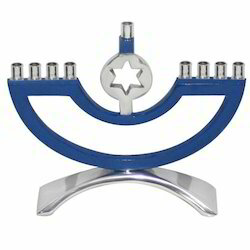 Manufactured from high grade of polished aluminum, these menorahs are known among our customers for their rich attributes such as attractive appearance, durability, corrosion resistant, and eye-catching design. 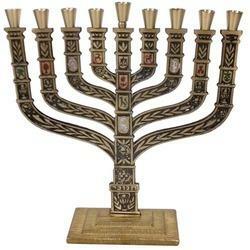 With the help of our logistic professionals, we have delivered this menorah in fixed time constraint. 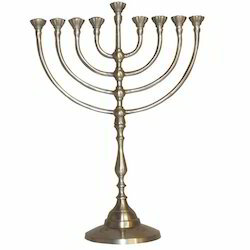 10410 Menorah L: 9.5, W: 2.5", H-7.25"
We specialize in offering Antique Brass Menorah to our valuable customers. 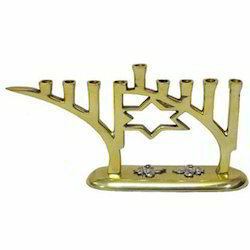 These products are manufactured from high quality metal, which is plated from brass, to ensure elegant design and eye-catching looks. 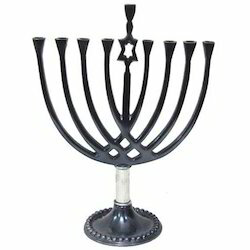 The product, offered by us is used for worshiping purposes and decorating interior by our reputed clients’ base. 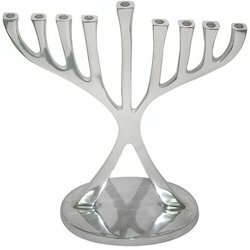 In addition to this, these products are available in different shape and sizes, which suit the requirement of our valuable customers. 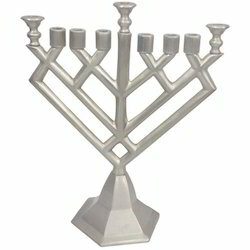 101045 Menorah L-11" & W- 12"
Owing to the vast experience in this field, we have been able to offer Antique Silver Menorah to our esteemed customers. 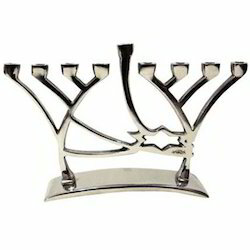 Made using latest technology and tools, these products are acclaimed among our customers for their corrosion resistant, high tensile strength, distinct design, and fine finish. 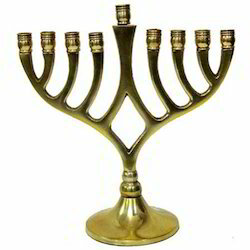 With the aid of highly experienced logistic professional, we deliver these products in stipulated time constraint. 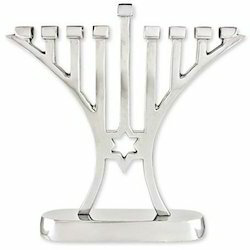 101046 Menorah L-11" & W- 12"
101047 Menorah L-11" & W- 12"
We offer Sterling Silver Menorah to our esteemed customers. 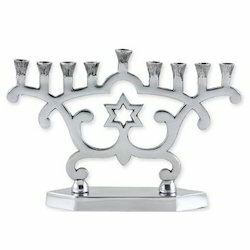 These products are manufactured from high quality metal, which is plated from sliver. 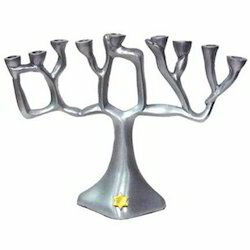 To ensure industry laid standards of quality, these menorahs are manufactured using latest machinery and tools. 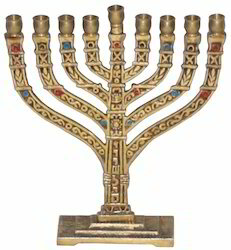 The product menorah is widely used for worshiping and decorating interiors. 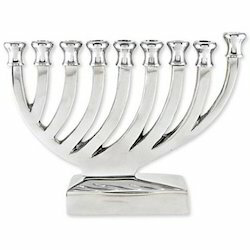 In addition to this, these products are available in bulk keeping the convenience of our customers in mind. 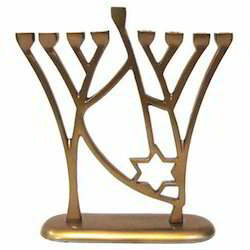 101048 Menorah L-11" & W- 12"
We hold expertise in offering our customers with high quality Copper Plated Menorah. 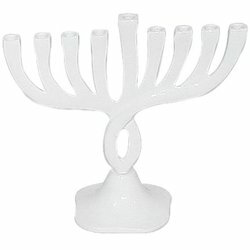 These products are used for worshiping and decorating interior of different office and home of our customers. 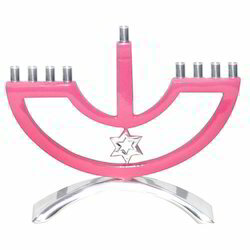 To ensure delivery of defect free product, the product, offered by us undergoes various quality assurances in-house testing by our highly experienced quality controllers. 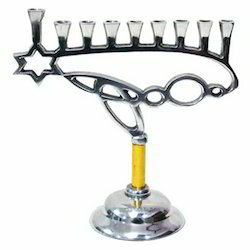 101049 Menorah L-11" & W- 12"
101050 Menorah L-11" & W- 12"
101051 Menorah L-11" & W- 12"
101052 Menorah L-11" & W- 12"
101055 Menorah L-11" & W- 12"